Pinitech - NVRAM & more! Parts for Nutting games both video such as Computer Space, and Space Ball, and EM games such as Computer Quiz and others. 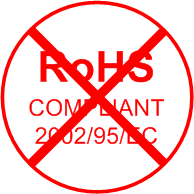 RoHS - We wish to inform you that most of the products sold on our web site do not comply with the Restriction of Hazardous Substances (RoHS) Directive. Only individual products listed specifically as RoHS compliant may be assumed to be compliant. We ask for your understanding and cooperation.